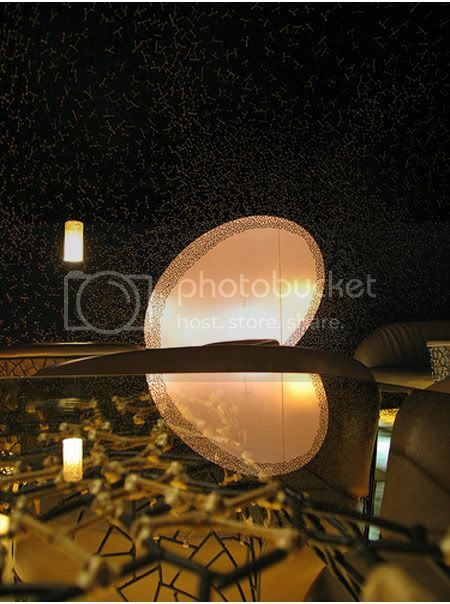 Bamboo branches and steel are hand-tied with rattan to form a cocoon-like structure that morphs into the furniture in the bar, where you may sit contentedly and sip from an impressive selection of wines and champagnes. 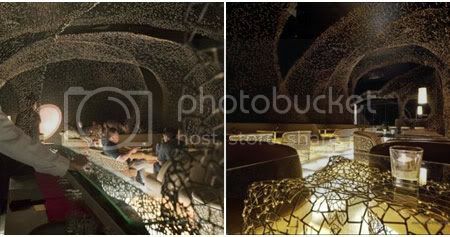 Philippines designer Kenneth Cobonpue’s first full-scale organic architecture design, Z Bar in Cebu City is simply stunning. 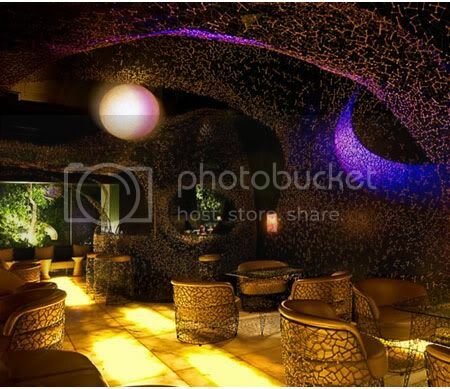 While Kenneth is noted for revolutionizing furniture design, the Z bar is using lots of natural materials for the interior, which he patterned after his own invention, the Kriskros. Kenneth approachs for Z bar main space is a framework sculpture that fuses utility with beauty. The latticework of bamboo twigs, and steel tied with rattan splits blur the concept of paint, wall, sofa, diver, and accents. 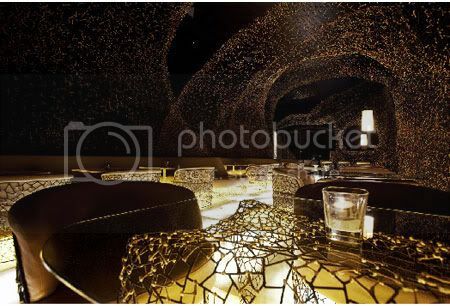 The whole configuration resembles a Venus Flower Basket, the skeleton of a kind of glass sponge, and totally gives you the feeling being sheltered and at the same time being given the freedom to enjoy the company of good friends. 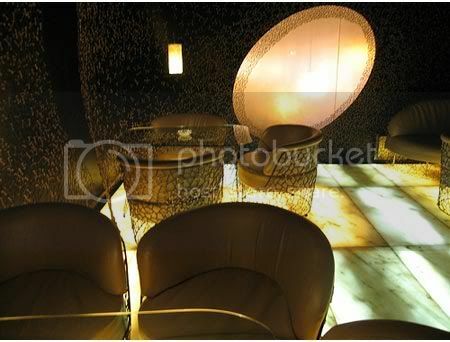 Light from the solid onyx floor casts a chic glow throughout the tapas lounge, and give a dreamy kind of illumination, and the rest of space, a subdued sense of being in another world. This same light gives the face a kind of glow so flattering, especially when one smiles. This artistic creation could not have been executed without the collaboration of architect Ed Calma, who masterminded the modern exterior. 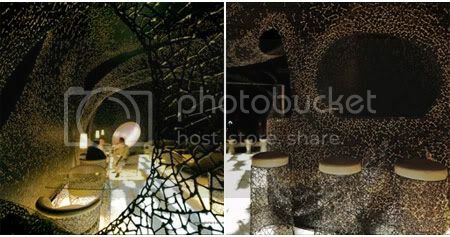 Artist Estela Ocampo-Fernandez contributed to the design, and saw to it that every detail would be carried out.